On December 8, 2016, District Judge Denise Cote (S.D.N.Y.) granted defendants Gust, Inc.’s (hereinafter, “Gust”) motion for attorneys’ fees and costs under 35 U.S.C. § 285 and 28 U.S.C. § 1927 against plaintiff AlphaCap Ventures, LLC (hereinafter, “AlphaCap”) and its counsel. In January 2015, AlphaCap, despite having knowledge of the decision in Alice Corp. Pty. Ltd. v. CLS Bank Int’l, 134 S. Ct. 2347 (2014) and its implications for its patents, initiated ten patent infringement actions in the Eastern District of Texas against every major entity that provides internet crowdfunding services. Gust answered AlphaCap’s complaint in March 2015 with six counterclaims, seeing a declaratory judgment of non-infringement and invalidity on each of the three patents-in-suit. By June 2015, AlphaCap had settled each action except for the action against Gust. None of the settlement amounts exceeded $50,000, and some were substantially smaller. AlphaCap’s counsel was to receive fees on a contingency basis. In June 2015, Gust filed a motion to transfer venue to the Southern District of New York. Shortly thereafter, counsel for AlphaCap contacted Gust’s counsel, stated that this case was “not worth litigating,” and offered a “walkway” settlement whereby AlphaCap would dismiss its claims with prejudice. Gust would not agree to settle unless AlphaCap assigned the patents to Gust or agreed to pay Gust’s attorneys’ fees. Under the terms of Gust’s offer, AlphaCap could retain the proceeds of any license agreements into which it had already entered. AlphaCap rejected the offer. 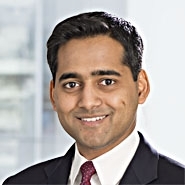 In March 2016, the action was transferred to the Southern District of New York, and consolidated with an action Gust had filed against AlphaCap in August 2015, in which Gust sought a declaratory judgment of non-infringement and invalidity of the same patents, and alleged abuse of process, tortious interference with contract, tortious interference with prospective economic advantage, and attempted monopolization under § 2 of the Sherman Act and state law claims. In May 2016, AlphaCap provided Gust with a covenant not to sue it for infringement of the patents at issue. AlphaCap took the position that the covenant required dismissal of Gust’s counterclaims seeking a declaratory judgment of non-infringement and invalidity. Gust stated that it would still seek to show that the patents are invalid in order to support its remaining claims and to obtain an award of attorneys’ fees and costs under 35 U.S.C. § 285. AlphaCap moved to dismiss all of the parties’ pending claims in both actions, and in July 2016, the court granted the dismissal. The court held that the covenant rendered moot the parties’ claims and counterclaims related to the infringement and validity of the patents-in-suit. Regarding the remaining issue in the case—Gust’s requests for attorneys’ fees and costs—the parties agreed that the covenant did not affect such requests. 35 U.S.C. § 285 provides that “[t]he court in exceptional cases may award reasonable attorney fees to the prevailing party.” Further, under 28 U.S.C. § 1927, an attorney may be personally liable to cover attorneys’ fees where the attorney “multiplie[d] the proceedings” “unreasonably and vexatiously.” Accordingly, the court considered whether Gust was a prevailing party, whether the case is exceptional, and whether AlphaCap’s attorneys acted in bad faith. 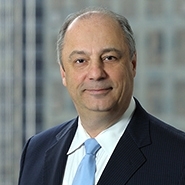 The court held that the dismissal of AlphaCap’s patent infringement claims with prejudice has the necessary “judicial imprimatur” to constitute a judicially sanctioned change in the legal relationship of the parties, such that the court can properly entertain Gust’s fee claim under 35 U.S.C. § 285. The court went on to hold that under Octane Fitness, LLC v. ICON Health & Fitness, Inc., 134 S. Ct. 1749 (2014), the case is “exceptional” for two reasons: (1) AlphaCap’s lawsuit against Gust was “frivolous” and “objectively unreasonable” in view of Alice and its progeny, and (2) the manner in which AlphaCap litigated its claim was unreasonable, insofar as AlphaCap’s goal was to extract a nuisance settlement from Gust. The court also noted that the circumstances suggested that AlphaCap’s instigation of baseless litigation is not isolated to this instance, but is instead a part of a predatory strategy aimed at reaping financial advantage from the inability or unwillingness of defendants to engage in litigation. An attorneys’ fees award will deter litigation misconduct in future cases, the court opined. While the court held that AlphaCap is liable to cover Gust’s attorneys’ fees and costs, it also held that Richard Juarez, an office of Plaintiff, is not personally liable under an “alter ego” theory. However, the court further concluded that AlphaCap’s attorneys had acted in bad faith in litigating this case. The court considered, in detail, two specific activities in which AlphaCap’s attorneys had engaged. First, the court concluded that AlphaCap’s attorneys acted in bad faith by filing an opposition and a sur-reply to Gust’s motion to transfer venue from the Eastern District of Texas even though the attorneys had failed to identify a single witness located in the district. Second, the court concluded that AlphaCap’s attorneys acted in bad faith by proceeding with the litigation for as long as they did, in order to make it expensive for Gust to defend itself, even though the attorneys were aware that the infringement claims were unlikely to succeed in view of Alice. Accordingly, the court held that under 28 U.S.C. § 1927, AlphaCap’s attorneys were also liable to cover Gust’s attorneys’ fees and costs. Case: Gust, Inc. v. AlphaCap Ventures, LLC, No. 15cv6192 (DLC), 2016 U.S. Dist. LEXIS 170118 (S.D.N.Y. Dec. 8, 2016). The patents-in-suit are U.S. Patent Nos. 7,848,976; 7,908,208; and 8,433,630.